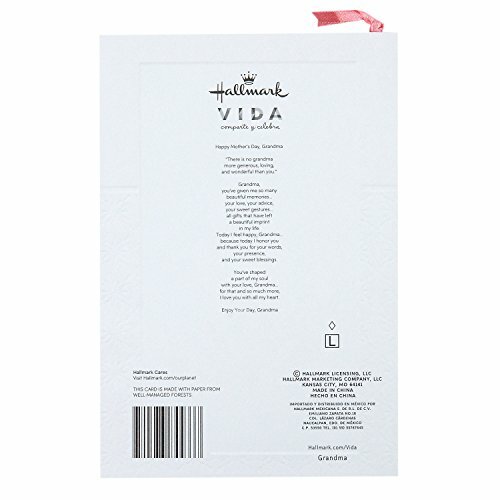 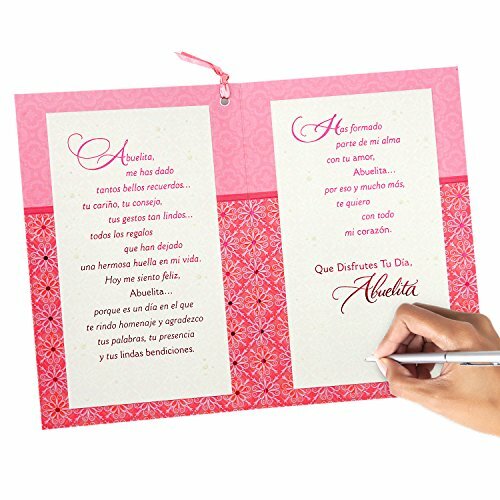 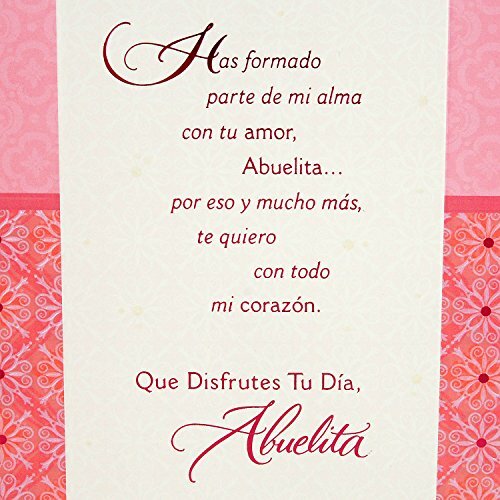 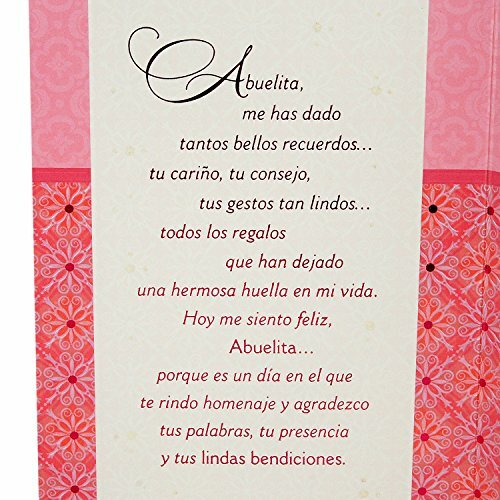 Hallmark VIDA helps Latinos connect in meaningful and memorable ways with cards that clearly reflect their values. 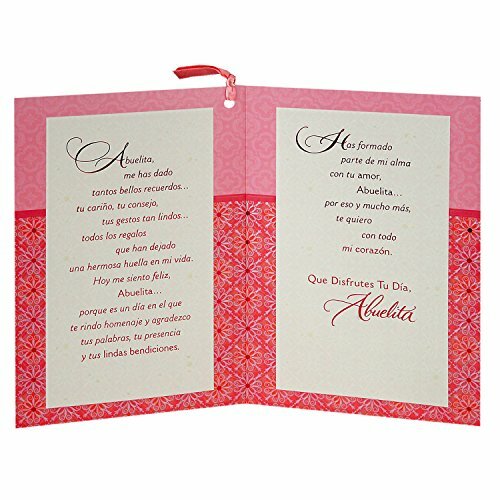 Through relevant images and editorial, the line speaks both the language and the culture. 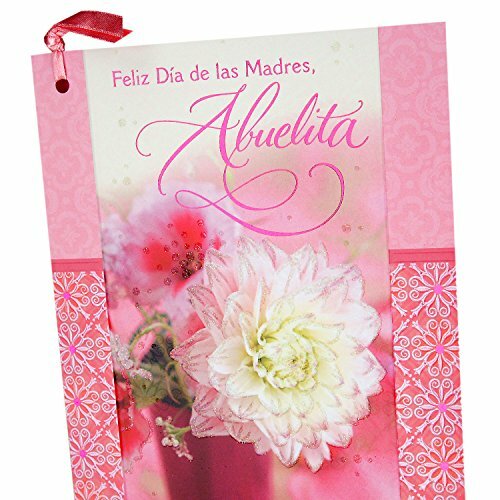 Printed on high quality paper stock, this Mother's Day card is the perfect opportunity to send your love and greetings to your grandmother. 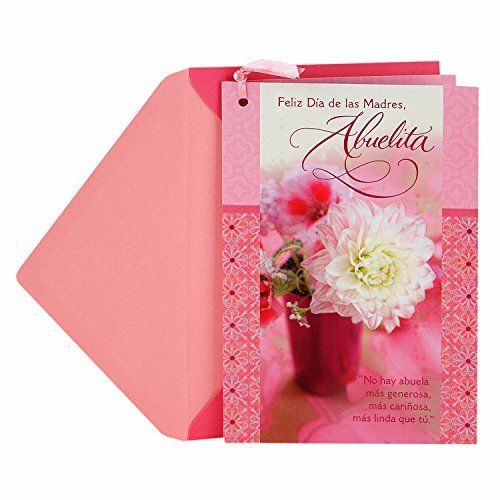 This card's design features a vase of flowers on a pink background with floral patterns.